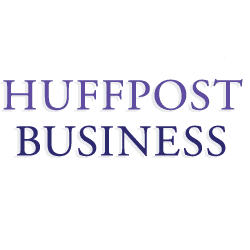 This post originally appeared on The Huffington Post Business Blog where NOD President Carol Glazer regularly contributes to the ongoing discussion about disability in America and how we can continue closing the gap for people with disabilities in the workforce. Over a remarkable ten-day stretch, the issue of employment for Americans with disabilities suddenly found itself in the front pages of national papers and a topic of discussion among our nation’s most influential philanthropies and those who seek their funding. For those of us who spend our lives trying to find solutions to why millions of Americans with disabilities can’t find jobs, these two events have rattled our walls in a very positive way. It started in mid-September with a remarkable mea culpa; a surprising admission from the highly respected leader of the Ford Foundation. President Darren Walker used the occasion of his annual letter to his constituents to admit that a new effort by his foundation, the nation’s second-largest philanthropy, to disrupt inequality had neglected people with disabilities. Walker didn’t just own the mistake, rather he pledged to raise the issue on a national stage so that disability is a consideration in all future grant-making decisions by his organization – and hopefully many others. It was a game-changing pledge. While Walker’s admission and Clinton’s policy proposal unexpectedly ignited much-needed focus on this vexing national problem, the reality is we as a nation have a pretty good handle on how to get more people with disabilities into the workforce. Now we need more action to go along with the talk. The Bureau of Labor Statistics projects that more than 50 million jobs will need to be filled between 2012 and 2022, accounting for both new job creation and replacing retiring workers. The majority of these new job openings will be long-term, career-track positions that require at least some postsecondary education. The race for highly educated professional talent is on, and American businesses are increasingly looking to the untapped potential of people with disabilities to stay competitive and get ahead. The number of people with disabilities attending college has climbed from 29 percent to 44 percent in the last decade, and two million people with disabilities are enrolled today. However, there is a disconnect between employers looking for talent on the one hand, and college-educated people with disabilities who could supply it on the other. Only 40 percent of people with disabilities with college educations are currently employed. That is why the National Organization on Disability is partnering with Career Opportunities for Students with Disabilities (COSD) and Work Without Limits on an exciting new project in Boston set to launch this fall. COSD is a widely respected organization that has worked for 17 years to connect college students with disabilities and employers. Work Without Limits is a consortium of more than 30 leading Boston employers, committed to disability workforce inclusion. The rich ecosystem of higher education institutions in Boston and employers who are motived to hire talented young people with disabilities as they transition from college to careers provides the ideal setting. Starting with employer’s talent needs, NOD together with COSD will develop, test and refine a campus employment pipeline for college students with disabilities in the Boston area. Results will be tracked – including employment outcomes for students, as well as for participating campuses and employers – and we will report out for broader adoption nationally. Years of research by our organization and others reveals how companies can attract, recruit and develop professional talent with disabilities. According to recent polling data, the most important criterion jobseekers with disabilities consider when selecting a place to work is the disability/diversity friendliness of the employer. A welcoming and responsive attitude toward disability outranked compensation – most important to jobseekers without disabilities – by ten percentage points, and also exceeded flexibility, benefits, advancement for career opportunities, and other selection factors. My organization works closely with large employers to teach their leadership ways to enhance a company’s organizational culture and hiring practices to improve the work environment for people with disabilities – and the company’s bottom line. The buzz created over the last several weeks certainly was helpful, but soon will dissipate. Our resolve to close this unacceptable employment gap must not do the same.